After acquiring David Price, how good are the Blue Jays now? There is only a few more hours until today's MLB non-waiver trading deadline but we already know who the most aggressive club has been. 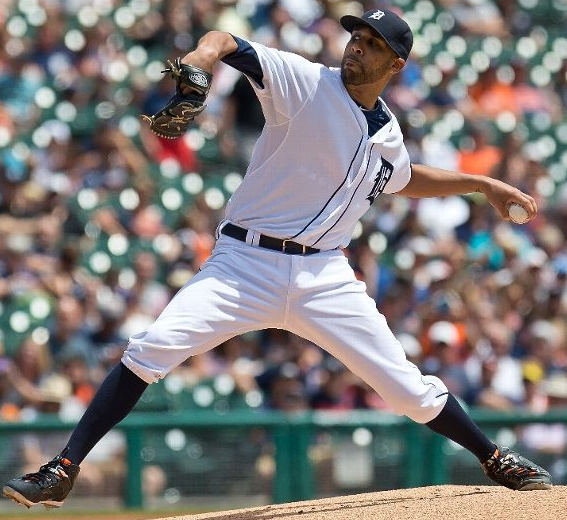 Just days after pulling off a stunning trade for Colorado shortstop Troy Tulowitzki, the Toronto Blue Jays have now completed a trade for Detroit starter David Price. Now after acquiring the top position player and the top pitcher on the market, will this put Toronto over the top and into the postseason? After winning at the Brickyard, is Kyle Busch the title favorite? Kyle Busch has only raced in nine races this season and he still is on the outside looking in when it comes to qualifying for the Chase for the Sprint Cup. But after winning the Brickyard 400 on Sunday, his third win in a row and his fourth victory in five races, has he become the new title favorite? We are about 72 hours from the non-waiver MLB trading deadline (Friday at 4 pm EDT) but it seems that we have already seen the biggest and most shocking move already with the Blue Jays pulling off a trade for star Rockies shortstop Troy Tulowitzki early this morning. In exchange for Tulowitzki and veteran reliever LaTroy Hawkins, Toronto will be sending shortstop Jose Reyes and minor league pitchers Jeff Hoffman, Miguel Castro and Jesus Tinoco to Denver. For a franchise that is in the mix to get to the postseason for the first time since winning the memorable 1993 World Series, it's a bold move and certainly an intriguing gamble. Over 100 NHL games will be broadcast this season across the NBC Sports properties, including 12 games on NBC. These include the 2016 Winter Classic on New Year's Day, the Thanksgiving Showdown, the 2016 Stadium Series and Hockey Day in America. Let's take a look at the 2015-16 schedule, to be filled in with announcers all season long, for the NHL on NBC. Over 100 NHL games will be broadcast this season across the NBC Sports properties, including 93 games on NBCSN. These games include the weekly Wednesday Night Rivalry contests (some of these are truly hilarious), the 2016 NHL All-Star Game and Hockey Day in America. Let's take a look at the 2015-16 schedule, to be filled in with announcers all season long, for the NHL on NBC. It seems safe to say that the Royals have been surprising many a baseball observer the past couple of seasons. Nobody saw them getting to the World Series last year and not many saw them in the position where they are right now with the best record in the American League. And now, in the wake of trading three pitching prospects to Cincinnati for Johnny Cueto, as first reported by Ken Rosenthal, they are aiming to do one better than they did last fall.